This Old Fashioned Banana Bread is made using only one bowl. Slightly sweet, perfectly moist, and a great way to use up any over ripe bananas, this will be a hit with everyone! A few weeks back, my mom went over to her friend Christi’s house for coffee. Typically, every so often, they take turns having each other over for coffee and a morning snack of some sort. 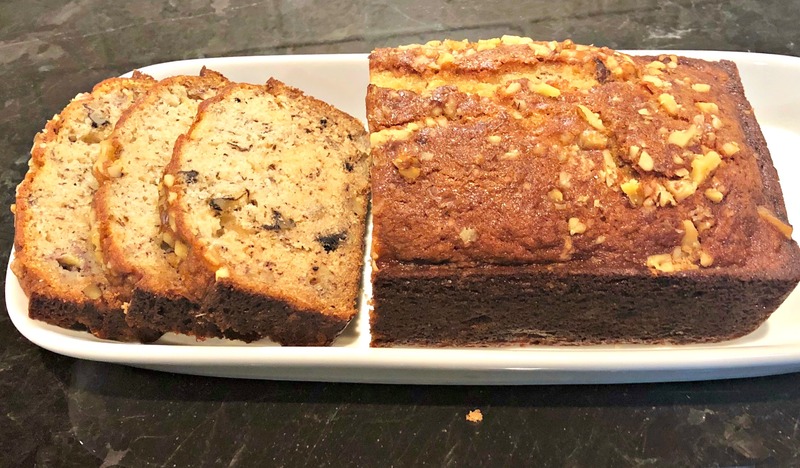 Christi ended up serving this banana bread and later texting me the pictures and recipe! First of all, isn’t that the sweetest?? 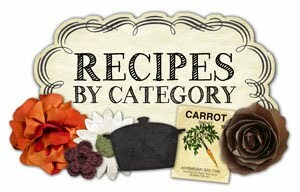 She took the time to take pictures, get the recipe, and send it my way to share with all of you! Very much appreciated, right?! Second, doesn’t it look great?! 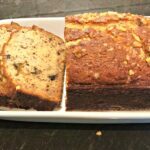 Nothing better than good old fashioned banana bread, and with so many different variations, its fun to see new ones! My mom ended up taking some of the bread home with her and both my dad and she enjoyed it for breakfast the next day! I called my mom up to ask her about it since I needed to be able to describe it to all of you! She said not only was this bread perfectly moist and tender, but it had just the right amount of banana in it and wasn’t overly sweet. Just how I prefer my banana bread, so I know this is a winner! I currently don’t have any over ripe bananas at my house because my kids are on a banana eating kick, but once that kick ends (you know how kids are, lol)….I definitely plan on making this! 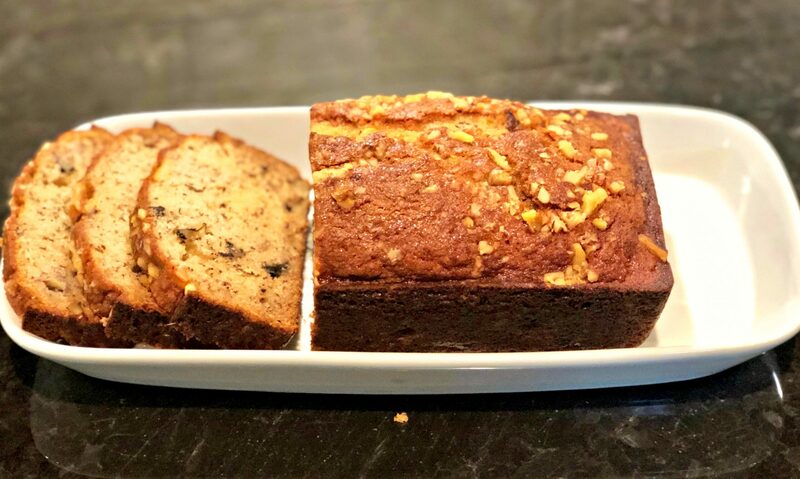 If you’re looking for a tasty way to use up some bananas, something to serve for breakfast/brunch, or for having company over….I highly recommend trying this bread! Don’t forget to let me know what you think of it if you try it! Enjoy…..and a special thanks to Christi!! You’re the best! *If you scroll below, you can sign up for my newsletter! 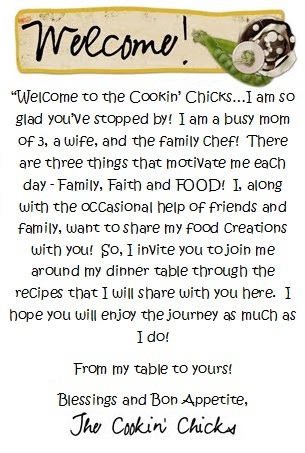 I’ll email my latest recipes directly to you, so you never miss anything! Plus, I offer prize giveaways to my subscribers only! Preheat oven to 350 degrees and grease a 9x5 inch loaf pan (or mini pans). In a large bowl, combine the melted butter and sugar. Add in the eggs and vanilla extract, mixing well. Add in the flour, baking soda, and salt, stirring until smooth. Fold in the sour cream, walnuts, and bananas. Place in preheated oven and bake for about 60 minutes, or until toothpick comes out clean when inserted in center. Remove pan from oven and allow to cool slightly before slicing and enjoying!